FreshDesk.com is a cloud based customer support platform that aims to help businesses streamline their customer support services. FreshDesk.com can save businesses, support agents and customers all countless hours of time. The customer is the most important part of any business. Successful companies keep their clients satisfied by answering questions or resolving issues quickly and efficiently. FreshDesk.com is committed to helping businesses deliver superior customer service to clients across the globe. 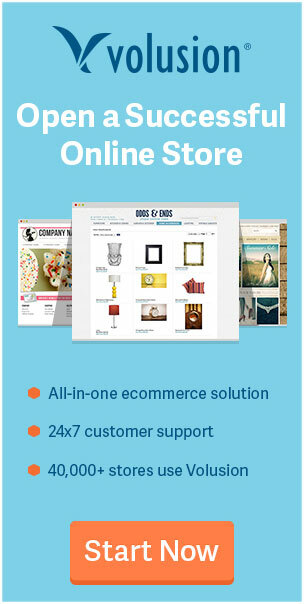 By using the support services provided by FreshDesk.com, companies can streamline their customer support department and build positive customer relations. 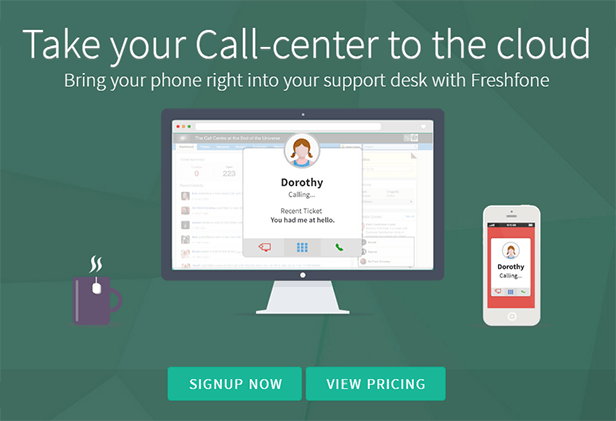 FreshDesk.com is a cloud based customer support platform that was founded in 2010 and is headquartered in California. The company offers a convenient, intuitive and secure service to 40,000 businesses in countries around the world. 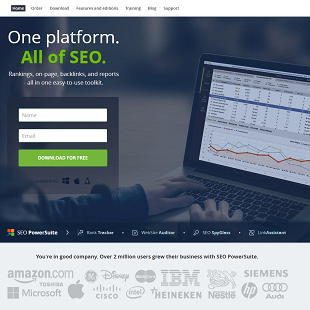 FreshDesk.com caters to companies of all sizes and seamlessly scales with a business as it grows. The Sprout plan offers basic email and phone support and allows members to set up a knowledge base for their customers. Blossom team members are able to enjoy game mechanics while resolving tickets. 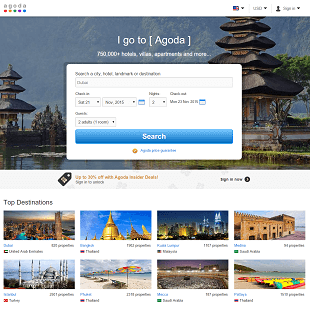 Users also receive access to social support channels and can set up community forums. Members that subscribe to the Garden Plan are able to offer their customers live chat support and can manage regional offices in various countries by taking advantage of FreshDesk’s global support capabilities. Estate members can analyze their helpdesk and support team using enterprise reports, customize their support portals to match their website’s theme, and create custom agent roles. The Forest Plan comes with IP Whitelisting capabilities and allows members to route communications with customers through their own email servers. Before a business subscribes to a monthly or annual membership with FreshDesk.com, their customer support department can try out the website’s services free of charge by taking advantage of a 30-day trial. 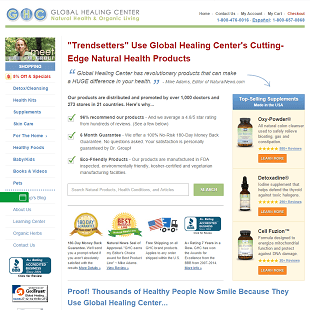 This free trial comes with no strings attached and does not require any customer credit card information. This way, if a FreshDesk user forgets to cancel his or her free trial, no automatic billing will take place. The FreshDesk.com smart ticketing system helps business to communicate with customers to quickly solve issues. Multi channel support allows companies to access and manage all support emails in one convenient location. Shared inboxes allow customer support teams to collaborate and resolve issues as efficiently as possible. The FreshDesk smart ticketing system helps members to keep track of all customer conversations and avoid overlooking any emails. Just a single missed message can upset an important client. The automatic ticket dispatch system is able to effortlessly categorize, prioritize and assign all tickets to support team members. This system ensures that multiple agents don’t accidentally respond to the same query, saving businesses both time and money. Agents are better able to focus on the needs of their assigned customers. Businesses that use FreshDesk.com are able to offer customers a variety of ways to connect with a representative and open a ticket. Along with email messaging, customers can receive help in real time through live chat support or the Freshfone integrated phone support service. In both of these cases, customer complaints can be automatically translated into tickets. To help customers quickly and easily resolve issues by themselves, businesses with a FreshDesk.com membership are able to set up self-help pages. Companies can set up a Knowledge Base containing tutorials, technical documentation or answers to frequently asked questions. Members can also create a community forum for their business where customers can share knowledge and advice with each other. Speed Racer: For the agent that resolves issues most quickly. Most Valuable Player: For the team member that earns the most points in a month. Customer Wow Championship: For the representative that collects the most smiles, or positive customer ratings. 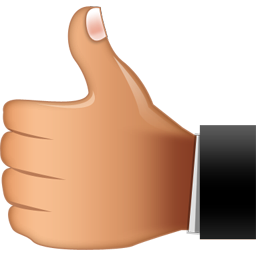 Sharp Shooter: For the agent that resolves an issue with just a single reply. Businesses can directly collect customer feedback with the resolution of each ticket through short surveys. This helps a company to measure and track important customer support metrics. Performance reports can quickly help a business to understand how the support team is performing, see which staff members need additional coaching, and learn how to improve future service. 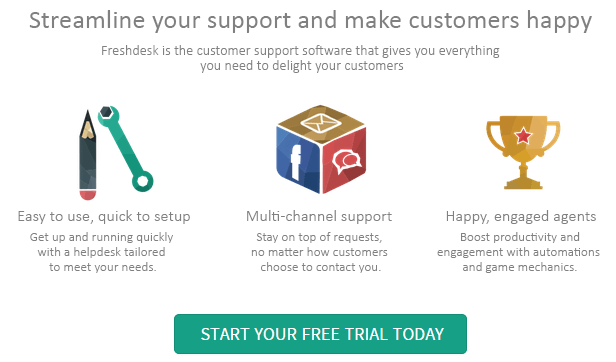 FreshDesk.com makes it easy for businesses to manage their customer support services. Unfortunately, the FreshDesk.com system occasionally crashes for short periods of time. This means that FreshDesk members are unable to communicate effectively with their customers until the website is back up and running properly. 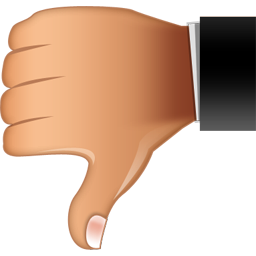 These instances are rare, but can still be frustrating to both businesses and their customers. The FreshDesk.com customer support department can be reached by phone at +1 (866) 832-3090 or via email at support@freshdesk.com. Members can also get help in real time by using the website’s live chat feature. [+] Does FreshDesk.com have a mobile app? Yes, FreshDesk.com members can download an app for Android or iOS devices to connect with clients on the go. [+] Which payment methods does FreshDesk.com accept? FreshDesk.com accepts Visa, MasterCard, Discover and American Express. Customers that wish to use any other form of payment should contact billing@freshdesk.com. [+] Can I temporarily add extra agents? Yes. During busy seasons such as product launches or sales spikes, FreshDesk.com members can purchase a Day Pass to temporarily add extra agents. Why Should I Use FreshDesk.com? FreshDesk.com is a cloud based customer support platform that aims to help businesses streamline their customer support services. FreshDesk.com can save businesses, support agents and customers all countless hours of time. 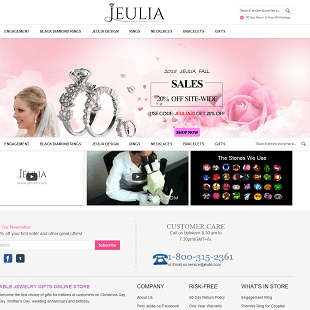 The website offers a variety of plans that cater to the needs of any company, from small start-ups to large corporations. 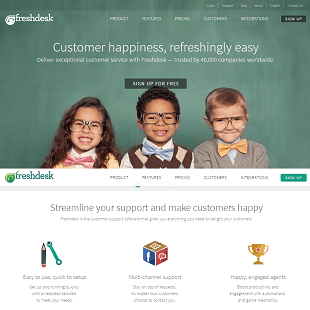 FreshDesk.com helps members to keep their customers happy, which is the key to any successful business. Customers can open a ticket via email, or quickly reach a representative through live chat or phone. The hassle-free FreshDesk.com smart ticketing system automates the process of categorizing, prioritizing and assigning tickets to prevent any customer complaints from being overlooked and so that multiple agents don’t waste time by tackling the same ticket. FreshDesk.com helps businesses all over the world to deliver superior support services to clients. Companies can easily connect with their customers to build positive relations. 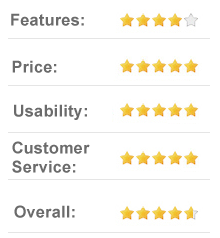 FreshDesk.com works with businesses to ensure that every customer walks away completely satisfied with their experience. 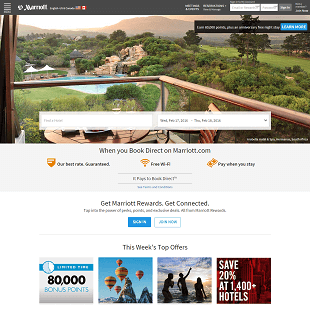 By American standards, Marriott is an old company. Founded in 1927 in Washington, D.C., it has been serving Americans for just shy of a century. Today, the company keeps its headquarters in Bethesda, MD, which is just a short drive from DC. Marriott has a long line of signature brands.